What Are The Best Flies To Use When Fly Fishing In Saltwater Rivers & Estuaries? 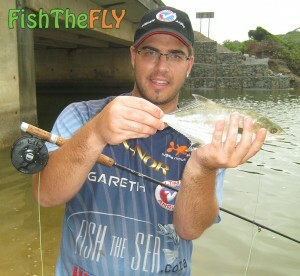 The best estuary flies are used in South Africa to target fish like Springer, Garrick, Kob and Grunter. South Africa is very lucky to have a variety of different estuarine habitats in which us fly anglers can present our patterns. The flies that are listed below have brought us huge amounts of success when fly fishing estuaries, and we hope you get the same joy and reward out of them as well. The best colours to use are white, chartreuse and pink. 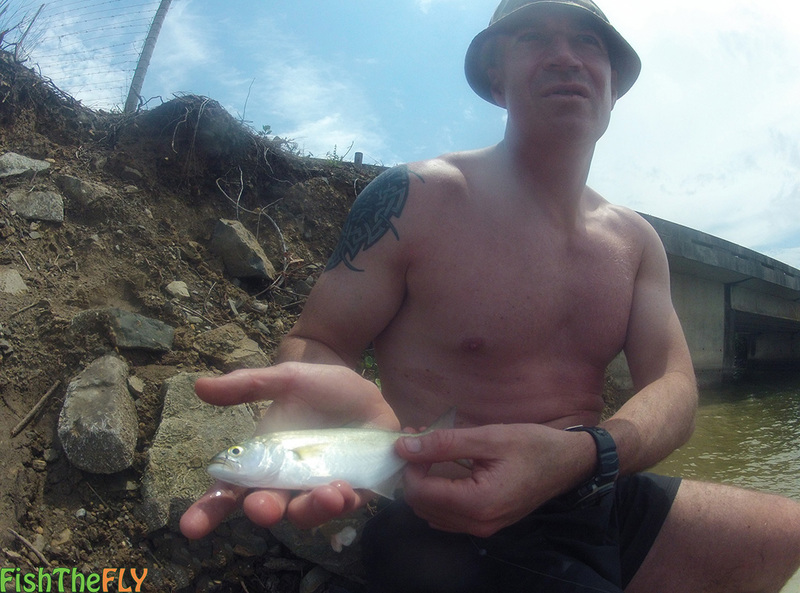 When fly fishing in Estuaries, you must try and mimic what the fish would be eating. In general, fish that enter estuaries, or call estuaries home, are feeding on things like: Mud Crabs, Swimming Crabs, Ghost Crabs, Mud Prawn, Sand Prawn, Swimming Prawn, Glassies, Mullet and a variety of other organisms. 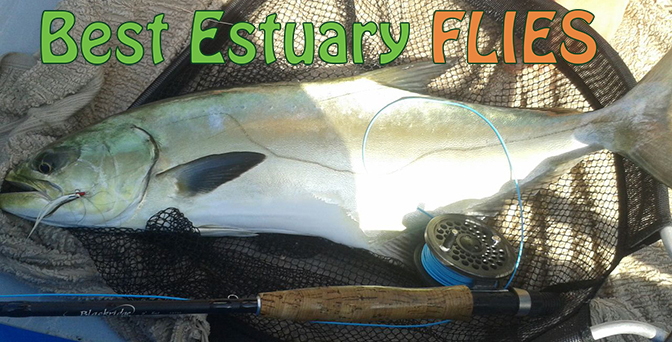 To be successful when fly fishing in estuaries, you need to mimic the colours, sizes and behaviour of the organisms that the estuarine fish species prey upon. Fish The Fly has identified the 5 best estuary flies you can use in the various saltwater fly fishing habitats along the South African coast line. There are so many flies out there, and it is very tough to narrow it down to the 5 flies we have listed below. 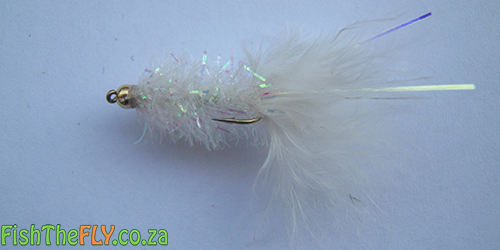 If you use these flies in the estuaries of South Africa, you will catch fish. Just remember, perseverance is a key to success when saltwater fly fishing. The Flipper fly was first tied in South Africa, and is effectively a top-water fly or a popper. The Flipper imitates a wounded baitfish struggling on the surface. The Flipper is often… Read more. The Crazy Charlie fly is arguably one of the most well know saltwater flies in existence today. This sea fly was originally tied by Charles Smith (Many believe it was tied by Bob Nauheim… Read more. The Salty Bugger is personally one of my favourite saltwater flies, and I always carry a lot of these flies with me when I go on a saltwater fly fishing trip. Along with the Fritz… Read more. The Clouser Minnow as we know it today, was originally called the Clouser Deep Minnow and was first tied in the 1980’s by the legendary Lefty Kreh, who has caught over 100 of species of fish on this fly… Read more. The Fritz is an astonishing fly and can literally be fished anywhere, and you can target almost any fish species with this fly. The Fritz is a great fly for freshwater species such as… Read more.